Our word siphon comes from a Greek one meaning "tube or pipe." To siphon things is to take them, often sneakily, as if you're sucking them up through a tube or pipe. See if you can recall this sloppy-sounding near-synonym of siphon: to in_____tate something is to eat it or drink it in a greedy way, or more generally, to take it in or take it for yourself. This image is courtesy of Wikimedia. 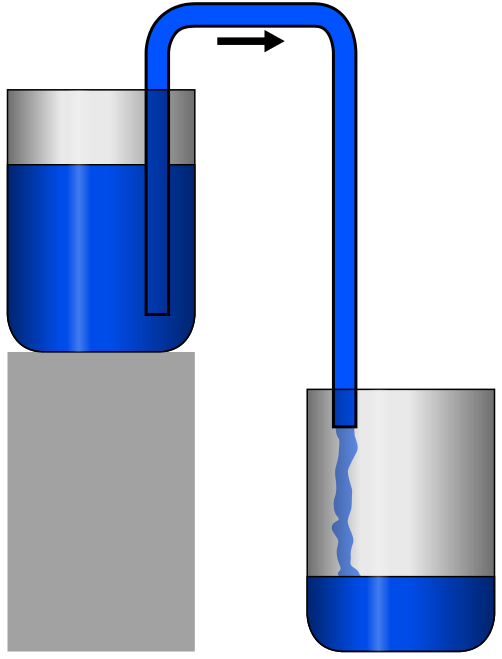 In the picture above, the blue tube is a siphon: a bent tube or pipe that allows liquid to flow from one container into another. To siphon liquid is to bring it up with a siphon. The idea is that you're emptying one container while filling another. So, figuratively, to siphon something is to take it and gradually use it up or move it somewhere else, as if you're drawing it off with a siphon. "they siphoned off the funds from that program to this one." This word has a slightly negative tone: often, it's sneaky and underhanded, if not flat-out illegal, to siphon things. And when we talk about people siphoning things in a figurative way, we're reminded of thieves who sneak in to literally siphon gasoline from a vehicle. Talk about people, statements, decisions, actions, and events that siphon things. What kinds of things get siphoned? Money, energy, interest, attention, power, votes, support, data, information, people's loyalty, people's talents, and even people themselves: "Their nation has siphoned thousands of doctors and scientists from ours." Often you talk about siphoning things from, away from, to, or away to other things: "they siphoned votes away from the candidate," "they siphoned the funds from public to private schools." You can also talk about siphoning things off (or siphoning off things): "the party siphoned all his energy off," "meditation helps them siphon off frustration and anxiety." Afternoons at the pool siphoned off the kids' energy, and they napped easily. "After a few months at Facebook, Parakilas was put in charge of a team responsible for making sure that outsiders were not misusing the data, and he was unnerved by what he found. 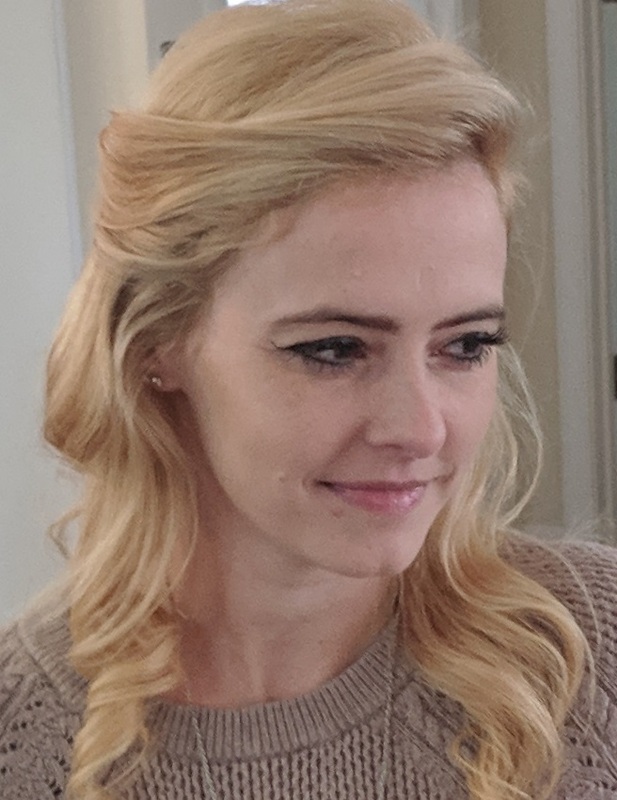 Some games were siphoning off users' messages and photographs." Look away from the screen to define "siphon" without saying "draw off" or "divert." Fill in the blanks: "(Someone) hopes to (accomplish something) before funding is inevitably siphoned away." Example: "The district hopes to renovate its leakiest, rustiest schools before funding is inevitably siphoned away." There's a statement with wording ambiguous. A scholastic Scylla and Charybdis. 2. The flea's scientific name is Siphonaptera, meaning we basically refer to fleas as "wingless _____."